When taking pilgrim visit in common, Trip to Tirupti had become a regular visit for most of the people eager to steep in the Hindu Culture. In addition to Pilgrim, the place has many places which people may not be aware of, which we wanted to highlight in this blog for the travelers who would like to plan their trip to Tirupati. There are many places like parks and natural sites recommended for the visitors in and around Tirupati. Among the best places to visit in Tirupati, there are some remarkable places that make the top sights in the whole of Chittoor District. 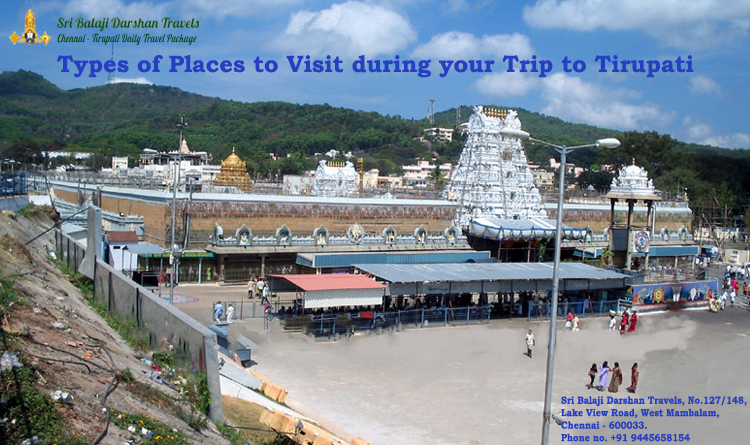 First and foremost is Tirumala Temple, which is Tirupati temple which you may not be able to miss it. But there are other temples as well. The list of Tirupati temple that you would like to cover during your trip would include Govindaraja Swami Temple, Tiruchanur, Srinivasa Mangapuram, Srikalahasti and Kanipakam. Tourists looking to visit the most sacred places in this Tirupati city should not miss Srivari Mettu, Sri Padmavathi Ammavari Temple, Iskon, and Sri Kapileswaraswami Temple. Tirupati may not be very high on heritage sites. Temples vote the most of city’s heritage stock. However, among other places near Tirupati is Chandragiri, which is 15kms from Tirupati. It is a tiny historical town and one of the important place which used to be the seating place for Yadavaraya Dynasty ruled from 11th to 13th century. Silathoranam becomes the second time in the list of best places to visit for its natural beauty in Tirupati. Apart from this, the sightseeing includes TumbhuruTeertham, Talakona Waterfall, Akasa Ganga, Chakra Teertham, Papa Vinasanam Dam and Kalyani Dam. If you are interested in geological visits which are Silathoranam. The area is spread across gardens and bare rocks; the most eye-catching attraction is a rock that hangs in the air. Geologists believe in natural erosion, this sarsen formation claims all laws of physics in its curious placement. There are many natural parks in Tirupati which attracts people who like to spend time with nature, For people who are keen to see deer, there is a Deer Park in Kandaleru City having huge species of deer. Sri Venkateswara National Park is also another park having a great population of wild animals. There is a small town in Chandragiri which is more than just a heritage. The Bazaar street in this historic town is lined up with shops selling handicraft merchandises and other cottage industry goods which are really authentic. It is one of the best places to buy handmade souvenirs, handlooms, home décor etc. Registered office: Sri Balaji Darshan Travels, No.35/15,Thambiah Reddy Road West Mambalam, Chennai - 600033. Branches: No. 158, Shakti Nagar, Zamin Pallavaram, Pallavaram, Chennai, Tamil Nadu - 600043.